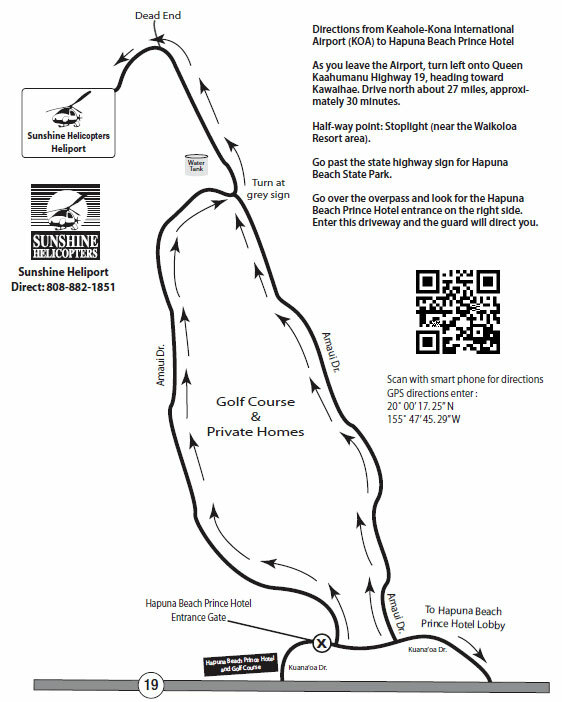 40 Minute Helicopter Tour - Kohala Mountains with views of the South Kohala Resort coastline. Climb Waimea over the sweeping pasture lands of the Kahua and Ponoholo Ranches in route to the lush tropical rainforest of Hamakua.Waimanu, Pololu and Waipio, alive with dozens of roaring waterfalls. Check in at 3:25 pm.